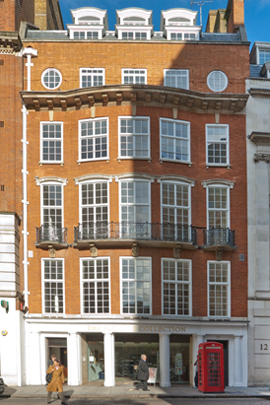 Berkeley Street is a high quality, traditional Mayfair office and retail building. It is physically connected to Ely House and was formally part of the same building but has now been separated. The first three floors of Berkeley Street are occupied by the gallery The Fleming Collection, the World’s largest collection of Scottish Art. Following a refurbishment the building is now fully occupied.